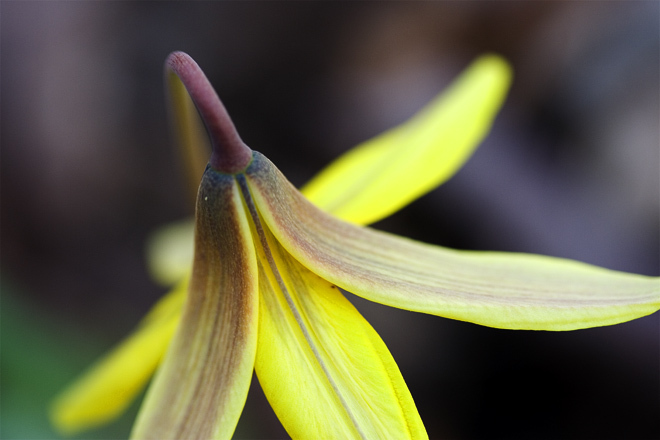 One of many wildflowers in Cudia Park atop the Scarborough Bluffs—Trout Lilly (Erythronium americanum). Just after I took this photo a deer walked past me. I couldn’t believe how large it was. Next time I’ll bring my entire camera kit. A macro lens isn’t the best for deer photos.